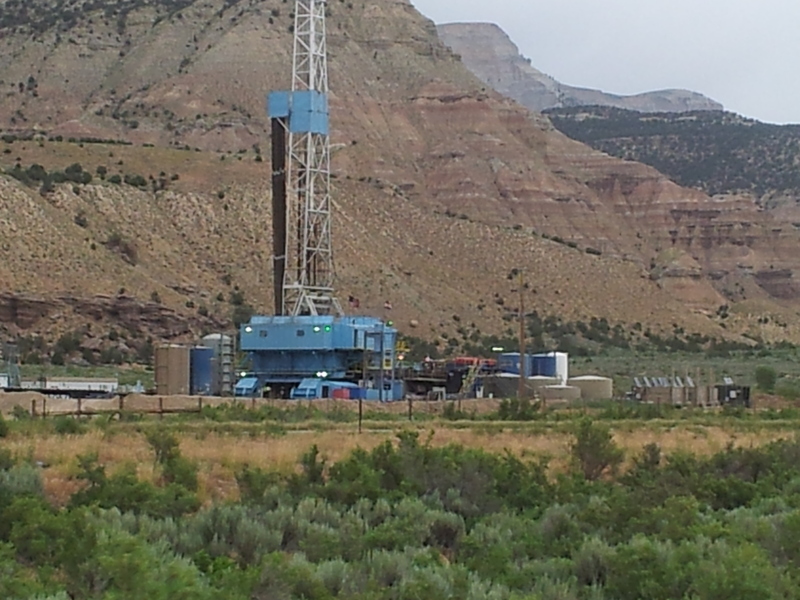 Critics say the oil and gas industry has too much influence in Garfield County, the second most drilled county in Colorado (David O. Williams photo). 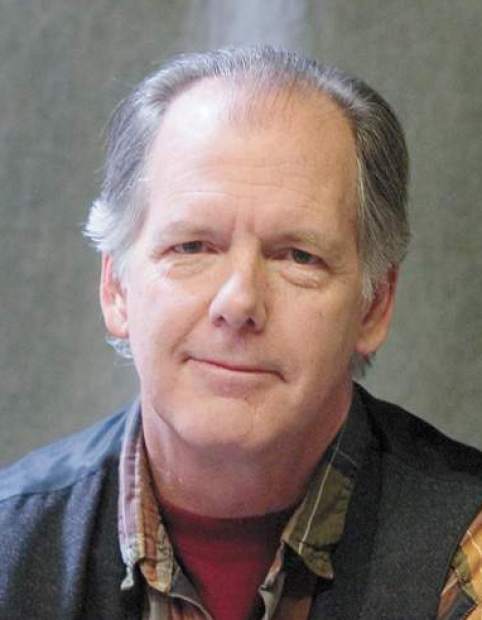 A veteran investigative journalist covering Colorado’s booming oil and gas industry says he was fired earlier this year largely due to pressure on his newspaper from local government and energy company officials. “[Oil and gas companies] complained about me, the Garfield County commissioners complained about me, and [the Glenwood Springs Post Independent] took me off both those beats,” said John Colson, a hard-hitting reporter for various newspapers in Aspen, Carbondale and Glenwood Springs since 1978. Ultimately, Colson said, publisher Michael Bennett fired him. The Post Independent – the dominant paper in the second most drilled county in Colorado – is owned by Colorado Mountain News Media (CMNM), a company that in 2009 was accused of caving to ski industry pressure when it fired a veteran Summit Daily News reporter over a column critical of ski-area snow reporting. The allegations by Colson come amid an increasingly fierce debate about local government control of oil and gas drilling to curb potential health impacts. Colorado Gov. John Hickenlooper recently struck an 11th-hour deal to avert a costly political battle over two controversial ballot initiatives that would have increased county and municipal control over drilling. Financially backed by U.S. Rep. Jared Polis, a wealthy Boulder Democrat, the initiatives were spurred by growing public concerns about drilling-related air and water pollution. Several Colorado cities last fall voted to impose hydraulic fracturing bans, prompting lawsuits from the industry and the state, which maintains ultimate regulatory authority. Judges recently have sided with state and industry, but public health concerns have steadily increased along the state’s populous Front Range, where Polis has been blasted by community activists for striking a deal with the governor that they say ignores drilling impacts. “I focused to a large degree when I first started covering oil and gas on the people that it was affecting, the people who lived near oil and gas facilities and were getting sick and dying in one case,” Colson said. Glenwood Springs Post Independent publisher Bennett did not return phone call and emails requesting comment. 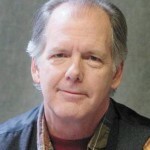 Colorado Mountain News Media general manager Jim Morgan declined to comment, citing the confidentiality of personnel issues, and former Post Independent editor Drew Munro, Colson’s direct supervisor at the time, also declined to comment. New editor Randy Essex would not comment specifically on Colson. Colson says he has no documented proof of industry or government pressure on the newspaper, just the words of his publisher and editor. “I just heard from my bosses that the industry indicated they weren’t going to talk to me anymore because they felt I was too aggressive and was biased against them,” Colson said. Doug Hock, a spokesman for Canadian oil and gas giant Encana, said he got along with Colson but didn’t feel he was always objective. Colson said that incident five years ago convinced him he needed to avoid discussing the oil and gas industry in an opinion column he’s written for the Aspen Times for nearly 30 years. “The industry’s reaction to that column was the first time I realized that I was being watched closely and that my column might be perceived as a problem, so I never again addressed the industry in my column while I was reporting on it,” Colson said. But the damage had clearly already been done with some elected officials. Judy Jordan, a former Garfield County oil and gas liaison who was fired after Jankovsky took office in 2011, said industry representatives had a direct pipeline to the county commissioners and often advised them on policy matters. “My experience when I was at the board of county commissioners was that the industry wielded so much power, because they regularly called up the commissioners and told them what they wanted and what they should do, whereas regular citizens almost never do that,” Jordan said in a 2011 interview. 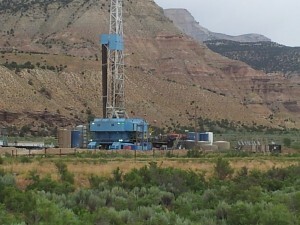 Garfield County is the second most drilled county in the state (David O. Williams photo). A respected environmental scientist with decades of experience regulating various industries, Jordan now works for the U.S. Bureau of Safety and Environmental Enforcement in Washington D.C.
Trési Houpt, a former county commissioner whom Jankovsky ousted in the 2010 general election, said there is a pattern of the current three-member board bending to the will of the oil and gas industry. 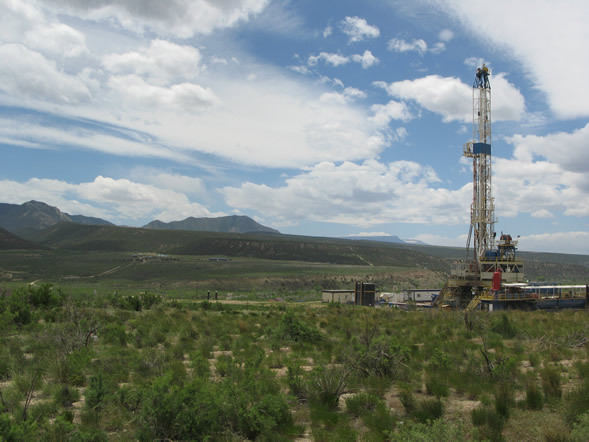 Houpt, who also used to serve on the state’s chief regulatory board – the Colorado Oil and Gas Conservation Commission (COGCC) – contends that the state’s 64 counties already have a great deal of local control over drilling operations right up to the drill pad itself. While split-estate laws provide subsurface mineral rights owners access to separately owned surface property for extraction purposes, Houpt says Colorado counties and towns can use zoning laws to dictate how and where drilling can occur. But the current Garfield County board of commissioners instead relaxed land-use codes last summer, she said. Jankovsky, who’s running for re-election in November, strongly disputes Houpt’s contention. “If the industry was calling the shots, then they would be driving up through Glenwood Springs and Four Mile Road for one thing,’ he said, referring to a proposed oil and gas haul route the county opposed near Sunlight Mountain Resort, a ski area Jankovsky manages. Still. Jankovsky is unabashed in his pro-business campaign platform. Garfield County, which is larger than both Rhode Island and Delaware combined, is home to more than 10,000 active oil and gas wells. It’s the top natural gas-producing county in the state, and at one point during the previous decade was producing 3 percent of the nation’s natural gas. Keith Lambert, a former mayor of the town of Rifle who ran for county commissioner in 2004 as the gas boom was really heating up, said he appreciated Colson’s work and was sad to see him go. Like Houpt, Lambert said industry campaign spending defeated him in 2004. Neighborhood activist Dave Devanney, who lives in the retirement community of Battlement Mesa, for years has fought drilling proposals in the subdivision. When reporting and critical thinking collide some industries just can’t pass a basic sniff test. Garfield County Officials,the C.O.G.C.C. and COGA have colluded to pollute the region and the subscribers to these papers are not privy to the most pressing narrative being visited upon them. A shame, but Colorado is fast becoming nothing short of a massive oil ‘n gas field with a degraded habitat for outdoor recreation. I have sat next to, behind, across the room, and in front of John Colson at Garfield County Commissioner meetings, Garco Energy Advisory Board meetings, and at Glenwood Springs Council meetings. In every case, John reported on what was said at these meetings, pulling out key quotes by key speakers, which are often overlooked by less savvy reporters. He is intimately aware of the players, in the oil and gas story being created here, and crafts his articles to show their relationship to each other, to the issue of a national energy independence goal, and to the citizens of Garfield County. What I perceive as the real problem for anyone who had, or still has, a problem with John’s reporting on the oil and gas business in Garfield County is the threat to the financial profits of an industry that is short-lived but creates an impact on our land that will last for centuries. Several leading companies in Garfield County have been exposed for providing inadequate safety precautions for workers handling hydraulic fracturing chemicals, flow-back and wastewater. Workers are more concerned about providing for their families than reporting potential health risks for themselves. The only industry workers I’ve heard about, who are calling the industry out on this, are those who know they are capable of making money doing something else, and who choose to put their health, and the health of their families, above the financial gain. As many an accountant will advise, “follow the money” and you’ll find the answer to any social, environmental, and economic inequality. Has this piece been reprinted in Carbondale or Aspen? If not, how can it be done? In the last couple of months the Post Independent has become the Post Codependent. Maybe the new editor has good intentions but the paper has taken on the tone of a Chamber of Commerce travel guide. Important issues to local people are being avoided. This story has not run in print in either Garfield or Pitkin counties, Bill. I offered it to the Aspen Daily News but they passed. My experience with Colorado Mountain News Media is that they are more aggressive editorially in markets where they have competition, such as Aspen, whereas they’re less focused on investigation in markets they monopolize, such as Eagle (where I live) and Garfield counties. Thanks for getting back so fast. This is a very important article for Glenwood and Garfield Co. residents especially with elections approaching. Any suggestions? Isn’t there a Carbondale paper, The Sun?